A few days before President Trump issued his first executive order limiting travel from seven predominantly Muslim countries, Emory University staff and administrators were already working behind the scenes to strengthen a support network for international students and scholars. 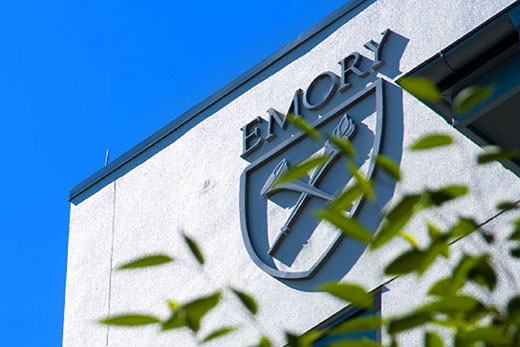 Since rumors about the Jan. 27 order had circulated earlier that week, Shinn Ko, director of Emory’s International Student and Scholar Services (ISSS), knew there would be questions and concerns. When the order was finally released — with little clarification and a demand that it go into effect immediately — “there was a lot of confusion, not just for Emory, but for everybody,” recalls Ko, who oversees immigration and advising services for the university’s growing international community. Amid the chaos, her goal was simple: Secure the best, most accurate information, understand thoroughly the implications for Emory’s international community, and communicate those facts as quickly as possible. Through the swift collaboration of colleagues within the Division of Campus Life, the Office of Global Strategy and Initiatives, and top university administrators, Emory’s international students and scholars were receiving emails offering support and resources within hours. ISSS advisers also reached out to individual students and scholars with offers of assistance. By the following week, the university had quickly assembled a public town hall, with a panel moderated by Polly Price, associate dean of faculty at Emory Law. Panelists included two immigration attorneys who addressed how they anticipated the executive order would impact Emory’s roughly 4,000 international students and scholars — 40 to 50 of whom are from countries targeted by the initial travel ban, says Philip Wainwright, vice provost for global strategy and initiatives. “The biggest barrier was the uncertainty — there were things that we just didn’t know, and for students, it was hard to know if what they were hearing (about the ban) was real,” Wainwright recalls. More than 100 people packed Winship Ballroom that day, including international students, faculty and campus staff — a turnout Ko found encouraging. The initial Jan. 27 executive order — later put on hold by a federal court — and a new 90-day travel ban issued earlier this month to replace it have left Emory, like other universities across the nation, navigating largely uncharted waters. For Emory’s international community of students, scholars and faculty, lingering uncertainties surrounding the ban created anxiety and confusion. Rick Huizinga, coordinator for the Office of International Student Life in the Division of Campus Life, recalls attending a regular lunch-hour coffee held at Brooks Commons in the Cannon Chapel each Friday that routinely draws 80 to 100 international students. “There was an overwhelming sense of not knowing what to do,” he says. Like ISSS, Huizinga’s office would reach out that weekend to connect with students and scholars from countries targeted by the travel ban. The swift work of ISSS, which deals directly with student immigration issues, made their job much easier, he says. Between the work of ISSS, public forums of support at individual schools and units, and steady communication from Sterk — who was among 48 American college and university presidents who wrote a letter urging President Trump to “rectify or rescind” the executive order — initial anxieties began to recede. “Their work really helped make it better for our students,” Huizinga says. When Trump issued a revamped executive order on immigration March 6, Emory was ready with a strategy in place for how to connect and communicate with international students, including a system for sharing developing news and updates through the ISSS website. Legal challenges have already been filed against the recent order, and a judge in Hawaii issued a nationwide temporary restraining order March 15 preventing it from going into effect as scheduled on March 16. Wainwright says the university will keep tracking developments in three distinct areas: bans against travel from certain countries; bans against certain refugees; and possible delays in obtaining entry visas. While Emory’s Office of Government and Community Affairs works to educate elected officials about Emory’s international students and scholars, the university continues to respond to the challenges these students and scholars face, reaching out to offer support through the Office of Spiritual and Religious Life as well as the Office of Counseling and Psychological Services. At last month’s University Senate meeting, Sterk issued a call to action, challenging the senate to create a working group comprised of faculty, staff and students to propose activities that could help foster a sense of community and self-care and to gather information to produce an inclusive assessment of the wide range of views that exist within the campus community. In Campus Life, work has begun to secure summer housing for international students who may feel uncertain about going home for the semester, and Emory is working with international students who’ve already made plans to study abroad. The Office of Admissions is also monitoring international enrollment applications — a trend being watched closely at colleges and universities across the country, according to a report published in the Chronicle of Higher Education this week. Currently, international students comprise about 17 percent of the overall student body. Maintaining a robust international student population is vital to the Emory experience, Wainwright says. “The world our students will be living and working within is going to involve reaching across borders and across cultures,” he says.